SOUTH WILLIAMSPORT, Pa. – Three years ago, Hailey Dawson never would have imagined that she would be stepping out onto a Major League Baseball field. 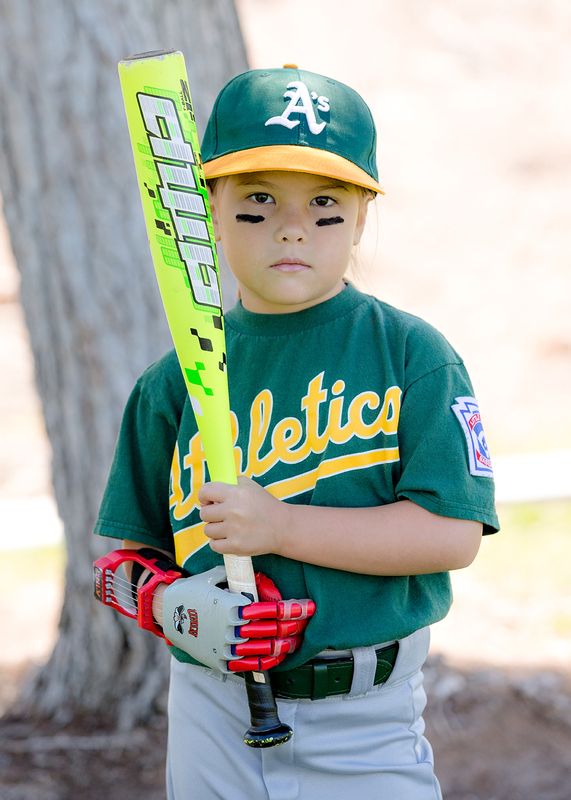 Now, for this seven-year-old Little Leaguer® out of Las Vegas, a lofty dream is about to come true at the highest level possible as she prepares to throw out the first pitch at Game Four of the Major League Baseball World Series on October 28. Born with Poland syndrome, a rare birth defect that causes underdevelopment of the pectoral muscle on one side of the body and deformation of the hand, Hailey doesn’t have the ability to grasp using her right hand. 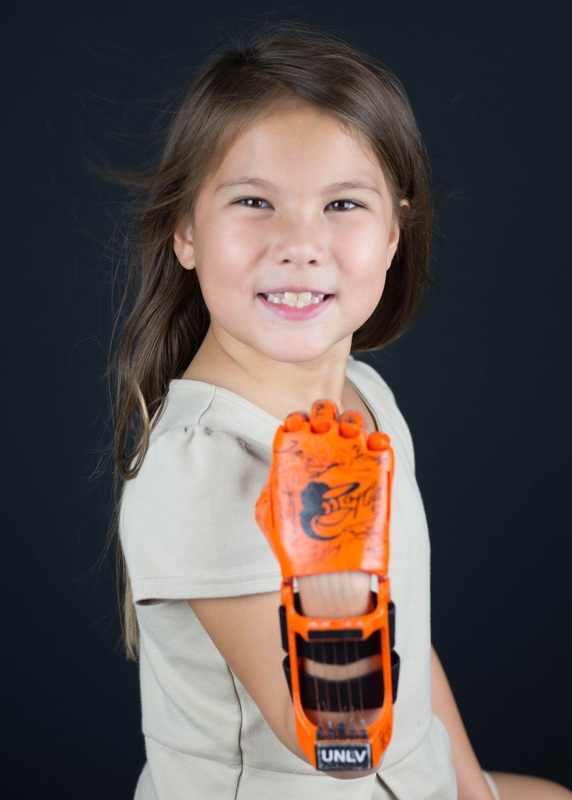 However, thanks to the help of a 3D-printed hand from a group of engineers at UNLV three years ago that allows her to control the plastic hand and contract its fingers, she has since been able to enjoy childhood activities such as playing baseball and is using the game as a way to raise awareness. And now, Hailey’s has embarked on a quest to throw out the first pitch at all 30 Major League Baseball ballparks. “I want to show people about Poland Syndrome,” said Hailey, when asked what she wants people to learn on this journey. Equipped with a new hand and a love for the game of baseball, Hailey recently completed her first season of Tee Ball this past spring with Paseo Verde Little League in Henderson, Nev., the same league that her brother, Zach, played in for the last seven years. The idea for throwing out the first pitch first came about in 2015 when Hailey and Mrs. Dawson saw Bryce Harper throw out the first pitch at a UNLV baseball game. Inspired by that, Hailey soon threw out her own first pitch for the Rebels. About a month later, Hailey asked her mom if she could throw out the first pitch for her family’s favorite team, “the Big Orioles,” referred to that way since her brother Zach’s Little League® team was also the Orioles. Determined to make it happen, Mrs. Dawson began writing letters to eight MLB executives within the Orioles organization, hoping to somehow make Hailey’s dreams come true. 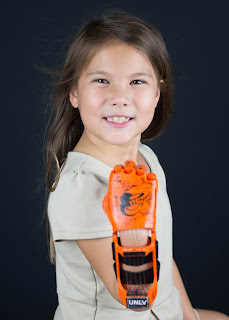 Luckily, one of those letters landed found its way to Baltimore Orioles President, John Angelos, who gave Hailey the opportunity to throw out a first pitch with an Orioles-themed 3D-printed hand to her favorite player, Manny Machado. This year, she had the opportunity to cross off a second stadium off her list when she was invited by the Washington Nationals to throw out a first pitch to the man that inspired it all, Bryce Harper. With all 30 teams already on board to help make Hailey’s dream come true, Mrs. Dawson soon received a call from Major League Baseball inviting them to come to a game during the World Series and have Hailey throw out the first pitch. For the game, Hailey will be receiving her eighth version of the hand, specially-designed with the 2017 MLB World Series logo.